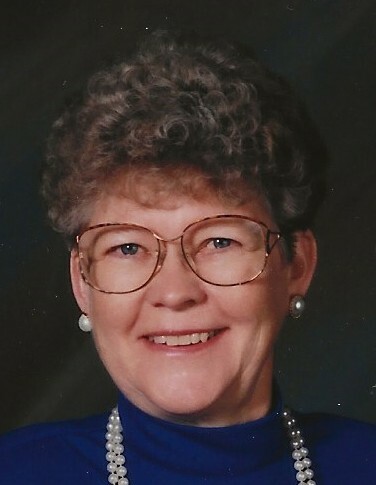 Doris A. Biggs, 86, of Mt. Pleasant, IA, died Saturday, January 26, 2019, at Henry County Health Center. According to her wishes, Doris has been cremated. There will be no visitation or services. In lieu of flowers, the family prefers gifts of love and friendship be given to Henry County Health Center Foundation. Friends may sign the book and leave memorials at Olson~Powell Memorial Chapel during normal business hours this week. A private inurnment, at Forest Home Cemetery, will be held at a later date. On-line condolences may be directed to www.olsonpowell.com. Born May 28, 1932, in rural Henry County, IA, Doris Ann was the daughter of Roy Bert and Dorothy (Long) Ford. From a family of ten children, she was a 1949 graduate of Mt. Pleasant High School. On January 10, 1953, Doris married Harold C. Biggs of Fairfield, IA, at the home of a friend. Along with her husband, son, and daughter, Doris lived in several communities in Iowa and Illinois due to her husband’s employment with the telephone company. In 1966, the family returned to Mt. Pleasant, where Doris resided until the time of her death. She held various jobs during her life ranging from telephone operator to retail clerk to manager of an office supply business. As a young woman, Doris enjoyed dancing and sports. She later liked to garden, read, and birdwatch. She was proud of her children, grandchildren, and great-grandchildren and took great pleasure in all of their accomplishments. Doris is survived by a daughter, Waunita Biggs of Mt. Pleasant, IA; a son, Wendell (Jane) Biggs of Burlington, IA; three grandsons, Brian (Amy) Biggs, Erick (Amy) Biggs, and Adam (Elisabeth) Biggs; and a sister-in-law, Rosie Ford of Mt. Pleasant, IA. She is also survived by eight great-grandchildren, along with several nieces and nephews. Along with her husband and parents, Doris was preceded in death by four sisters, Lucille Lewis, Martha Meyer, Mary Stonehouse, and Margaret Garmoe; five brothers, Everett Ford, LeRoy Ford, Wayne Ford, Paul Ford, and Carl Ford, who died in infancy; a niece; and two nephews.